I’m standing in woodland near Wakefield, mallet in hand, looking at a piece of stone and wondering what on earth I’m supposed to do with it. 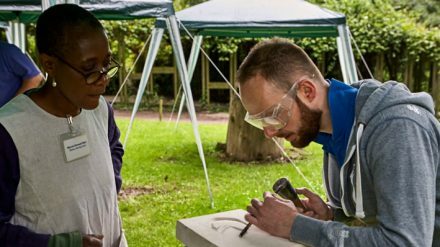 It’s not your average Saturday: I’m on a stone-carving course at Yorkshire Sculpture Park. 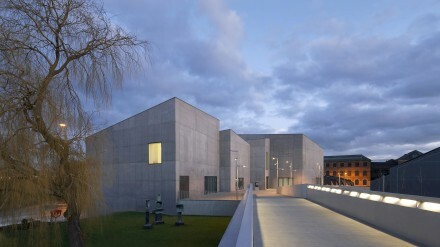 There’s a sculpture in The Hepworth Wakefield so moving, so tender, that I can’t get it out of my mind.